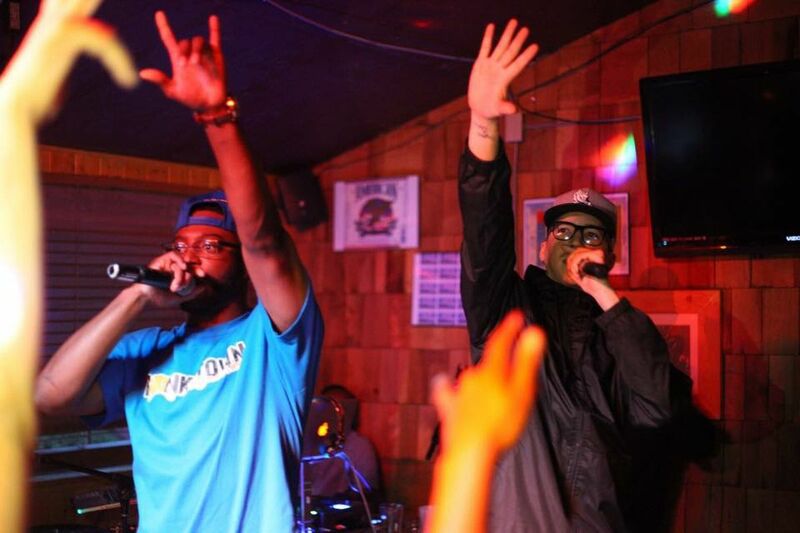 Homegrown hip-hop is coming to the Alaska Center for the Performing Arts. On Saturday, the fourth annual Alaska Hip Hop and R&B Awards will take the stage at the Sydney Laurence Theatre, a place more commonly reserved for dance performances, musicals and classical orchestra productions. Organized by veteran DJ Reggie Ward and the nonprofit Alaska Music Leaders Association, the event will feature more than a dozen award categories and performances by 11 local performers. The lineup is predominantly hip-hop. "My goal has always been to create positive recognition for all of the wonderful talented artists that we have up here, and hopefully somebody will get a chance to really break out of here and get signed," Ward said. "When that happens? I'll be so happy." The award winners are chosen through fan nominations and a popular vote, with the online nomination and voting forms circulating across social media for weeks leading up to the show. The 2017 nominees include some of the most prolific names in Alaska hip-hop — performers including Alaska Redd, Bishop Slice and Starbuks. The first awards show took place in 2008, Ward said. After a long hiatus, it was revived in 2015. It gained momentum in 2016, Ward said, and when construction at the Loussac Library prompted organizers to find a new venue for the 2017 event, they decided to make the leap to the downtown performing arts center. "We just want to have it grow, and it keeps getting better and better every year," he said. Anchorage hip-hop artist Tayy Tarantino is one of more than a dozen Alaskans up for awards Saturday, nominated in four categories — Music Video of the Year, Song of the Year, Male Rapper of the Year and Best Album/Mixtape of the Year. After growing up in Anchorage, Tarantino moved to Washington, D.C., several years ago and spent some time making music on the East Coast before returning home, inspired to help show the Lower 48 what Alaska hip-hop sounds like. "We're forgotten about up here; they don't think we have anything up here," he said. "To me, that's a big deal." Working with Anchorage-based hip-hop collective Bad Agenda, he dropped an album, "Homecoming," in September 2016. He also opened for Wu-Tang Clan in the Moose's Tooth parking lot last August and 2 Chainz at the Sullivan Arena earlier this month. He's one of several artists slated to perform Saturday. While the nominations are nice, he said, they're only the icing on the cake. "We're just excited to be a part of it," Tarantino said. "(The show) definitely makes the scene better as a whole." Alaska rapper Starbuks, aka Michael Cofey, plans on traveling from Fairbanks to make it to the Sydney Laurence stage. While Cofey is nominated for awards in several categories for his work with fellow Interior rapper Bishop Slice, he says he'd try and make it to the show regardless. "It's important because I'm a huge fan of the hip-hop culture," he said. "We're from Fairbanks, you know? We're spokesmen for the culture and community here. It's important that we show up." Cofey said he's proud to be part of that hip-hop community: It's competitive by nature but collaborative by necessity. Local performers team up to host rap battles in Anchorage and Juneau, compete over show openings and push to be the best. To be successful, though, Alaska artists have to stick together, Cofey said. That's what the awards show is all about. Unfamiliar with Alaska hip-hop? Saturday might be a good time to get acquainted. "You're in for a shock," Tarantino said. "We have people that work hard — that put everything they have into their music. I look forward to showtime."